Being in credit card debt can feel like you’re in a black hole with no signs of a way out. You’re not alone! It happens, but there is a way out. It takes hard work, dedication, and unfortunately time unless you have just fallen into a boatload of money. In which case, share the wealth! Just kidding, go pay off your debts!! 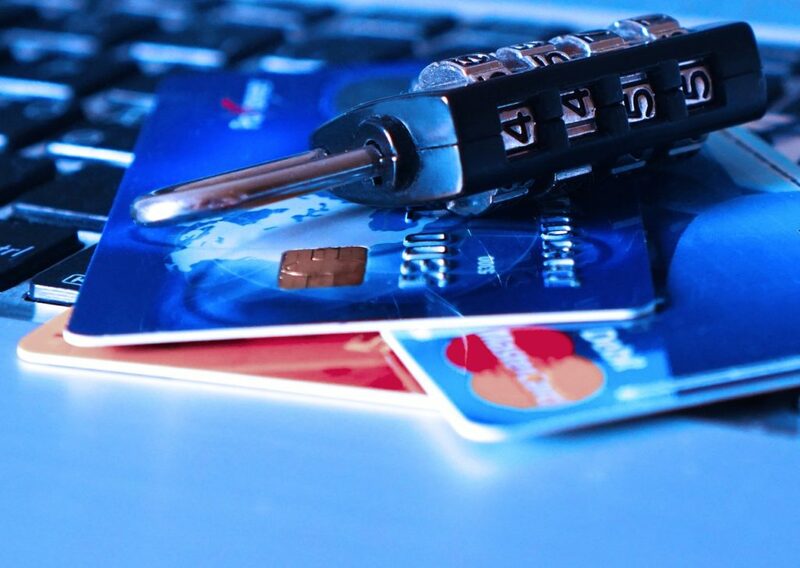 The downfall of credit cards is that they are reliant on you to pay them off. If you just went along paying the minimum payments, after years of payments you might not have even made a dent in paying off your balances. Most of that money is going straight to interest and leaves your actual credit card balance almost untouched. 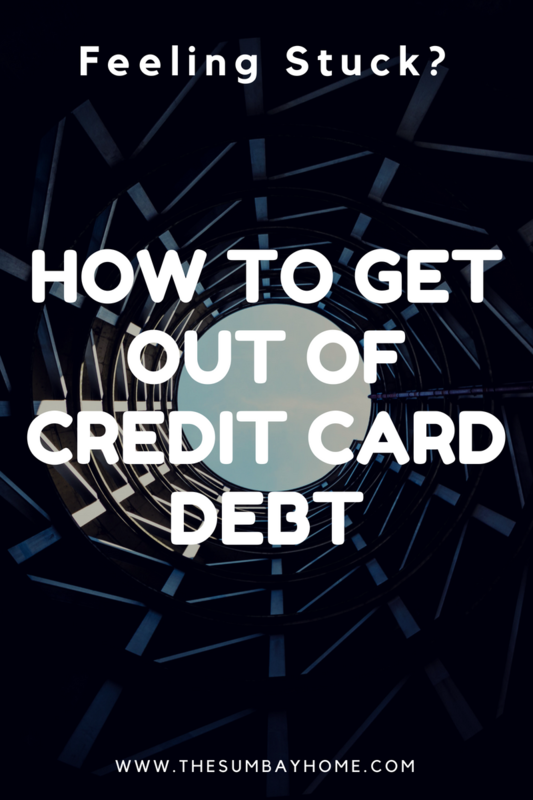 The first step in eliminating credit card debt is to stop creating new credit card debt. (Yes, I know this is obvious, but I also know it can be hard to stop spending) So if you haven’t done this yet, you need to if you want to get out of this black hole. If you have stopped, that’s great! Check out the tips below about making a purchase before moving on to step two. Here are a few things to keep in mind before making a purchase. But do you really need to this? Usually, the answer is no. This waiting period really helps you to see if you need to make that purchase or not. Often times, you’ll just forget about whatever you were going to buy, which shows that you didn’t really need it in the first place. We all work very hard to earn money, then spend it so quickly on things that we want to reward ourselves with. Then we end up not using those things. They collect dust, then we have to have garage sales and sell those items for pennies on the dollar to try to recoup some of our money back. Tell me your house is not full of unneeded junk? I know mine is. The reality is if you’re not a minimalist, you’re probably wasting money on things that you don’t need. Can you afford to make this purchase? If the answer is yes, I can put it on my credit card. The actual answer is No. In the future, when you are free from credit card debt, you might be able to make an occasional purchase on a credit card. But now is not the time, and I’ll discuss when and how to use credit cards in a different post once you are debt free. Until you get debt free, try not to buy anything you can’t afford to buy with cash and not affect your bills. However, If you have some extra money to make these unnecessary purchases, my recommendation is don’t make the purchase and put that extra money towards paying off your debt. When you use a credit card to make a purchase, you have to remember that your purchase is going to include interest. Once you add that interest, the price you are paying for something goes up. Even though you don’t see that when you are making that purchase, if you don’t pay it off by the end of the month, now you have to pay interest as well. When you are debt free, you can take advantage of 0% interest offers from credit cards (strategically), and pay something off in installments without paying extra interest. That’s how to make credit cards work to your advantage, instead of the other way around. Start paying off that debt strategically. 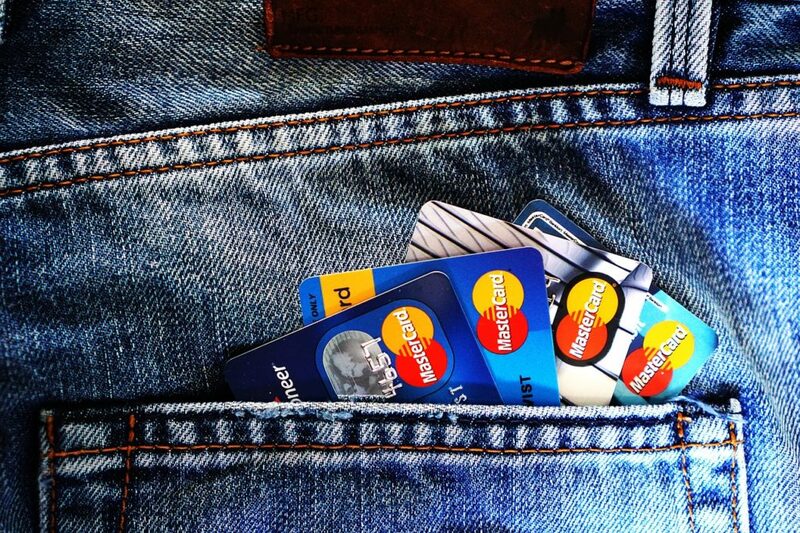 If you have a bunch of credit card debt, chances are it is spread over numerous different credit cards. If you only have one, that’s great because the amount of debt you have is probably a lot less than it could have been. You are starting off with an advantage. It’s also a good idea to use a budget workbook to manage your money. If you realize that you’re wasting money unnecessarily, this might motivate you to make a change. Which can free up some cash to put towards paying off this debt. What is your minimum payment? Ok, you should be paying as much as you possibly can each month towards this credit card, and it needs to be well over your minimum payment amount. Remember most of that minimum payment is only going to the interest you accrued for the previous month, and not your balance. That’s right, you are charged every month for the balance that’s kept on your credit card. Wouldn’t it be nice to keep that money for yourself? You will be able to, once this balance is paid off, and you stay out of credit card debt. Remember those purchase tips above? Those should help you have more money than you usually do each month. Put as much of that extra money as possible towards paying off this debt. This accelerates your journey to being debt free!! Typically, when you are in this situation you pay as much as you can towards each credit card every month. Often times while doing this, (especially if your balances are high) you might not feel like your getting anywhere. The truth is this process works, but its a very slow process at that. There is a better way, and you have two options. Which one do I pay off first? 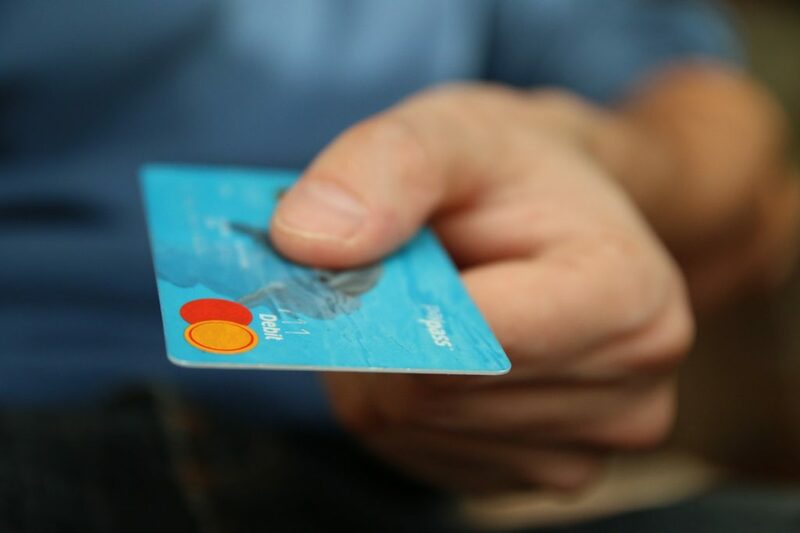 Find out which credit card has the highest interest rate and focus your efforts on that one, while only making minimum payments on the others (I’ll elaborate below). Or put your credit cards in order based on the balance, and focus your efforts on the one with the lowest balance first. Once you knock that one out, you move on to the one with the next lowest balance. While doing either of these you must still make at least the minimum payments on all of the other cards. I recommend the second option of focusing on your lowest balance card first, then moving to the next lowest. Your interest rates are probably not going to vary too much from one card to the other, and being able to eliminate some of those cards are going to make you feel amazing during this process. Which might motivate you to stay on track, or put more effort in and accomplish your debt free journey even faster. Here’s what I mean by focus your efforts. Currently, you probably pay a little more than your minimum payment on most or all of your credit cards. When I say focus your efforts, I mean make the minimum payments on all of your cards except the one you are focusing on. The focus card gets all of the extra money, attention, and effort to eliminate it. Once you pay off that card, you move on to the one with the next lowest balance, and so on. Say you have 5 credit cards, and you currently pay $100 a month towards each one. Currently, you spend $500 a month towards your credit cards. Let’s say the minimum payment on each one of your cards is $50 a month, so $250 a month is going to minimum payments. You pay $50 a month on the cards with the 4 highest balances (equaling $200 a month), and the remaining amount of $300 towards the card with the lowest balance. Now your card with the lowest balance is around probably $800 – $1,200. You just paid that card off in 3 to 4 months. Now you take that $300 a month and add it to the card with the next lowest balance. So $50 a month on the 3 highest balance cards, and now $350 ($50 + the $300 from the first card that is now paid off) towards your card that now has the lowest balance. You keep doing this method until all of your debt is eliminated. When you are down to the last card, all of that extra money ($450+) is going towards your balance and not interest. So even if you had $5,000 to $12,000 on your last card, you could end up paying it off in a year or two. The above example is just an example, you will have to add in your own figures to make this work. You might have 4 or 10 credit cards, and all of them will likely have a different minimum payment. What’s important is that you always make at least the minimum payment on all of your credit cards. Then put all of the extra money you have towards the card with the lowest balance. Don’t stop there! Remember the things to keep in mind before making a purchase from above in step one? If you follow those steps you should have some extra money left over each month. Those tips should help you make better buying decisions and limit some of your unnecessary spendings each month. Now, what are you going to do with that extra money? You should put it towards paying off your credit card debt. Can you imagine how much faster you could pay off that debt if you were throwing an extra $100, $200, $300 or more a month at it? Your credit card debt free journey would be supercharged. Also, everyone comes across some extra money from time to time. Maybe a tax return, a bonus, some birthday money, or anything. It would only help your situation to put that money towards your credit card debt. It will only help you get there faster. Even if you have some extra leftover money at the end of each month, just put anything (or everything) extra that you can towards the card that you are “focusing on”. Remember once that debt is paid off, all that money that you have been putting towards it is now yours to keep. It’s basically like giving yourself a raise. If you were paying $500 a month in credit card debt, and now paid that debt off, you now have an extra $500 each month. I’m sure you could buy whatever you wanted with that money, or save it. If you wanted to buy something big you could save that money for a few months then buy whatever you wanted, without paying interest (so you are basically getting it cheaper!!). You could save that money and take a vacation. Whatever you want to do, you now have the freedom to be able to do it. I know it can seem like a long daunting journey in front of you, but I promise it will be worth it in the end. The freedom to spend your money how you want it, as opposed to having to pay credit card companies interest is irreplaceable. Good luck, stick with it, and you will get there. Click here to see some things to consider before making a big purchase, and what it will cost you, or save you. If you enjoyed this post, feel free to leave us your email. Thanks!